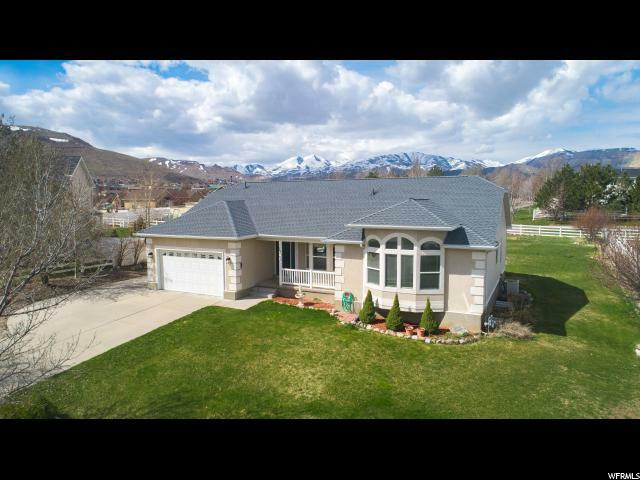 All ESTATES AT ROSE CRK homes currently listed for sale in Herriman as of 04/18/2019 are shown below. You can change the search criteria at any time by pressing the 'Change Search' button below. "Rarely Available Harness Cove Horse Property! Located in a quiet cul-de-sac, this beautifully updated rambler boasts New carpet, Fresh Paint, New Laminate Hardwood Flooring, Extra Insulation, and a NEW ROOF! Looking for extra bedrooms? Two downstairs rooms simply need closets. How about extra storage? Check out the approx 12' x 20' shed out back! ***FRUIT TREES*** Please inquire for complete list. Get spoiled with the public horse arena at the end of Horseback Lane (just one street over), plus two trailheads and beautiful parks, all within walking distance. $500 home warranty provided through Silverback HW."